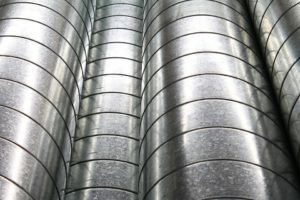 Your air ducts don’t necessarily have to be cleaned routinely, but you might want to consider doing so if you or other family members suffer from asthma or allergies. Dust and allergens can be spread throughout your home and irritate these respiratory conditions. If you have mold in your ducts, you do need to have them thoroughly cleaned to remove these growths. Mold can cause health issues that range from mild to serious, especially in those who have asthma or other respiratory problems. If you’re not sure whether or not your ducts need cleaning, schedule an inspection to have them checked for dust and debris buildup. Cleaning your air ducts can reduce respiratory symptoms associated with asthma or allergies, providing you and your family with a healthier home. It can also help you save money on energy bills by ensuring that your HVAC system is available to run as efficiently as possible. Having clean ducts also means that your HVAC equipment doesn’t have to work as hard to heat or cool your Fort Wayne home. This leads to reduced wear and tear on your system, which can help extend its life span. Keep in mind that your HVAC filters help prevent dust from entering your ducts. Change these filters regularly to keep your ducts clean. If your air ducts need cleaning, don’t attempt to do so yourself. You could accidentally dislodge certain parts, and you’ll need the right equipment for this job. Leave it to HVAC professionals instead, so you can rest assured that your ducts have been properly and thoroughly cleaned. If you need maintenance done on your air ducts, please contact Hartman Brothers Heating & Air Conditioning. We’ve been offering HVAC services to homeowners in the Fort Wayne area since 1963. Our goal is to help educate our customers in New Haven, Indiana and surrounding Fort Wayne area about energy and home comfort issues (specific to HVAC systems). For more information about air duct cleaning and other HVAC topics, download our free Home Comfort Guide or call us at 260-376-2961.